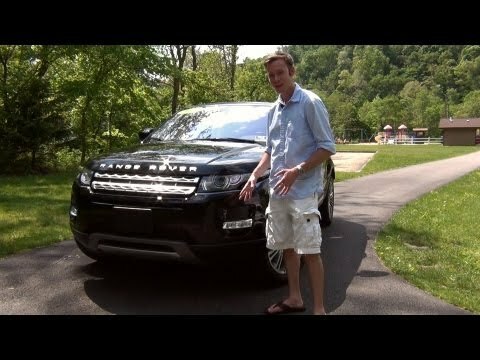 You'll like the 2012 Range Rover Evoque if you want a seriously stylish luxury SUV that drives well in the city, but isn't afraid of the wilderness. The new Evoque also returns up to 28 mpg on the highway, a number inconceivable in anything else wearing a Range Rover badge. Great size! Easy to get around town & great fun on the road! I love the size of my Evoque. It is a smaller SUV. I like to sit up high and yet not have too big of a vehicle. I don't need that much room. It only requires yearly maintenance. The gas mileage is so-so. I have had no major problems with my Evoque. It is a four cylinder and great on gas. Very good on gas, love the look and inside interior, sizing is great for a small family. The drive is not strong and stable. The vehicle is very nice. Easy to drive, very smooth. It has a touchscreen system for phone calls and music. Insufficiently torqued brake caliper bolts may result in the brake caliper detaching. A detached brake caliper may lead to a loss of brake function. Additonally, the caliper may strike a wheel resulting in the sudden deflation of a tire. Either situation may increase the risk of a vehicle crash.